Carmelo Anthony will have the opportunity to sign a maximum-salary contract for the third time in his career if he opts out of his current deal with the New York Knicks to become a free agent this summer, as expected. 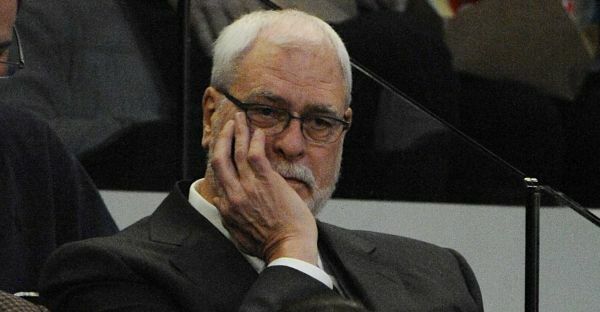 He cashed in on each of the previous two occasions, agreeing to deals with the Denver Nuggets and Knicks totaling $145 million, yet those decisions precipitated a void that dollars cannot fill. One of the greatest scorers of this generation has made just one trip past the second round of the playoffs and has yet to compete in the NBA Finals during his 11 seasons in the league. The cynical point of view is that Anthony simply valued money above all else. However, several factors impacted his contractual decisions, including a short-sighted agent, a desire to play in a big market and an untimely lockout. It is also easy judge those decisions harshly in hindsight by downplaying the role that unforeseen circumstances played in his experiences in Denver and New York. Anthony signed his first veteran contract in the summer of 2006, with one year remaining on his rookie deal with the Nuggets. Denver offered the 22-year-old the maximum amount allowed under the collective bargaining agreement, $80 million over five years, and Anthony jumped at it. 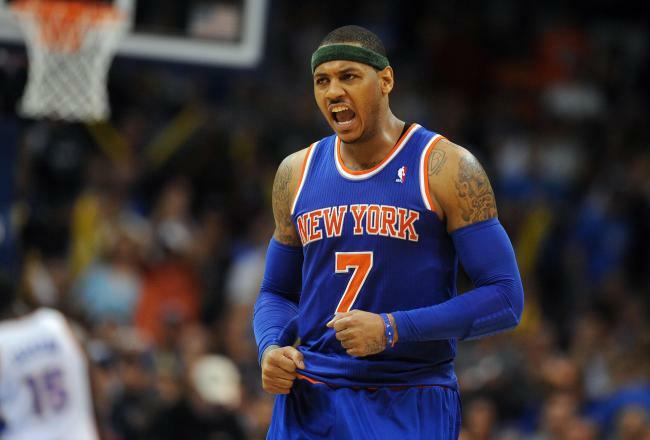 The deal included a clause which enabled Carmelo to opt out after the fourth year. “It was a no-brainer for me,” Anthony said. “When all the rumors were out there saying I was signing this type of deal or that type of deal, my family called me and said, ‘Look, are you crazy?’ Growing up we don’t have [much],” via ESPN.com. Anthony’s friends and fellow members of the 2003 draft class, LeBron James, Dwyane Wade and Chris Bosh, did not believe that signing the maximum deals offered by their respective teams (the same five years and $80 million) was a “no-brainer.” All three sacrificed a substantial amount of guaranteed money in favor of greater wealth down the road and signed three-year contracts worth about $43 million, with a player option for a fourth year. Bosh, Wade and James understood that as seven-year veterans they would be eligible to negotiate a maximum contract worth 30 percent of the salary cap if they opted out of their contracts in 2010. Players with less than seven years of experience can only earn up to 25 percent of the cap. 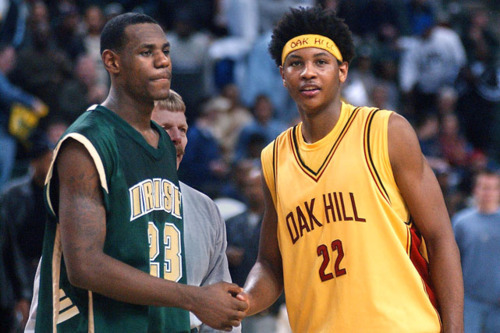 Carmelo and LeBron have been friends since high school. In 2010, James, Wade and Bosh joined forces on the Miami Heat and are currently pursuing a third consecutive championship. Anthony, who has been close friends with James since high school, and played with all three on the U.S. Olympic team, could have teamed up with one or more of the future Hall of Famers in a number of locations, including Miami and New York, if he had signed a shorter deal. He also would have avoided the complications presented by the lockout the following year. 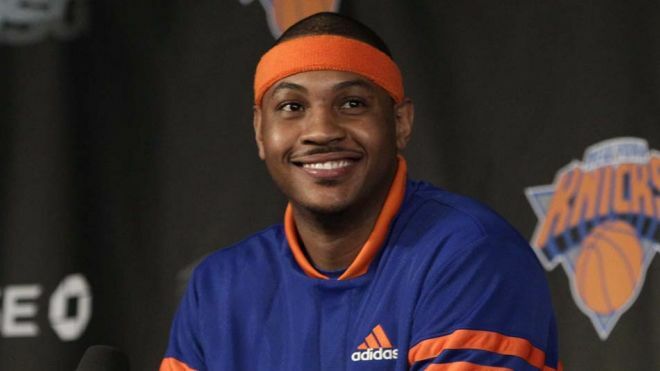 Instead, Carmelo could not become a free agent until the summer of 2011. Anthony refused a contract extension offered by the Nuggets in 2010 and the Brooklyn native made it known that he wanted to sign a maximum-salary contract to play with his friend Amar’e Stoudemire for the Knicks. A long-anticipated lockout of the players by the owners following the 2010-11 season put a wrench in his plan. Amid widespread speculation that maximum salaries would be significantly reduced under the new CBA, Anthony felt compelled to sign a new deal before the lockout. The only way he could do that with the Knicks would be if the Nuggets traded him to New York before the 2011 trade deadline, so he requested a trade. The star forward had leverage over Denver. He could have left them empty-handed by departing via free agency over the summer and was able to determine his destination by refusing to sign an extension with any team other than the Knicks. Denver obliged and on Feb. 21, 2011, traded Anthony, along with Chauncey Billups, Anthony Carter, Renaldo Balkman and Shelden Williams to the Knicks in exchange for Danilo Gallinari, Wilson Chandler, Raymond Felton, Timofey Mozgov, second round picks in 2012 and 2013, a first round pick in 2014 and the right to swap picks with the Knicks in 2016, as part of a three-way deal that also involved the Minnesota Timberwolves. Anthony promptly signed the largest extension allowed under the CBA, a three-year, $65 million deal, beginning in 2012-13. The move backfired on Anthony. Stoudemire’s body began to give out soon after Carmelo’s arrival. The six-time All-Star played sporadically over the past three seasons and has been reduced to a shadow of the explosive superstar he was with the Phoenix Suns. 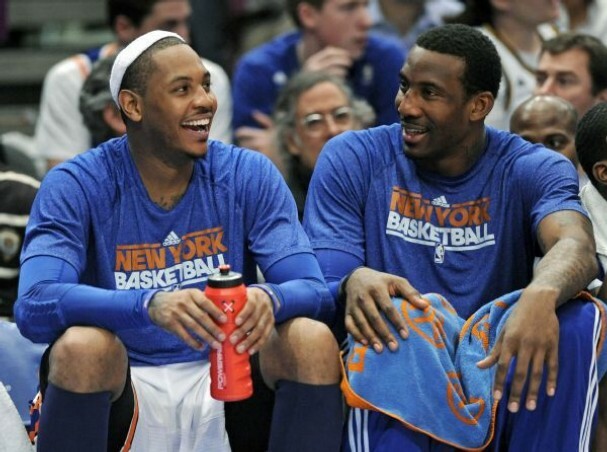 Carmelo never had the opportunity to play with a healthy Stoudemire. 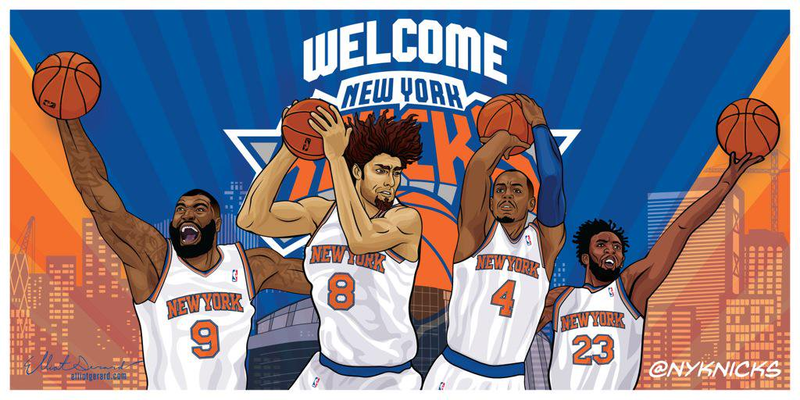 The NBA gifted the Knicks a way out from under Stoudemire’s colossal contract with an amnesty clause in the new CBA. Instead, the Knicks used the provision to erase the final year of Chauncey Billups’s contract from the cap in December, 2011, just six months after picking up the option on his deal, in order to sign Tyson Chandler. To make matters worse, the rollback on maximum salaries under the new CBA was not nearly as severe as the players had feared. In the first year of a new contract, a player may still receive up to 105 percent of his prior salary. Annual increases for non-Bird contracts (which Anthony’s would have been had he signed with the Knicks as a free agent) dropped from 8 percent to 4.5 percent. The Knicks were expected to have about $17 million in cap space in the summer of 2011, assuming they renounced the rights to free agent Wilson Chandler, though they would not have had much trouble unloading a player, such as Anthony Randolph (who was traded to Minnesota in the Anthony deal and was scheduled to make $2.9 million in 2011-12, or Ronny Turiaf, who earned $4.3 million that season) in order to offer Melo a max deal. The maximum amount Anthony could have earned over the 2012-13, 2013-14 and 2014-15 seasons by signing with the Knicks as a free agent would have been about $58, $7 million less than the extension he agreed to. However, since Anthony will be opting out of the final year of the deal, it is worth noting that the difference in money during the first two years of the contract extension would have been about $3 million. For $3 million, Anthony ensured that three-and-half years of his prime would be spent on a mediocre team with virtually no financial flexibility, young talent or draft picks. He could not have anticipated the exact results of the lockout, how much New York would give up for him or that Stoudemire’s career would nose-dive, but he did know that he was depleting the team’s talent and limiting its maneuverability. The Knicks could have used the assets they surrendered for him to acquire another star, such as Chris Paul, to add talent through the draft or create cap space. Anthony also should have been aware that he was committing to a team with an incompetent owner and a history of head-scratching personnel moves. Now Carmelo finds himself at a crossroads once again. He turns 30 on May 29th. Basketball mortality is on the horizon. This is his last shot at a maximum-salary contract. It is also his final opportunity to put himself in position to be a top dog on a championship contender. New York can offer him $33 million more than any other team, but that cash comes with no guarantees. 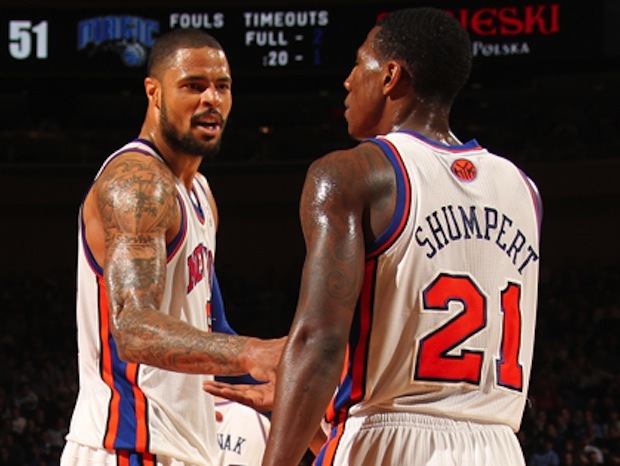 The Knicks will not have the cap space to add another star player until 2015, and their track record, combined with a dearth of valuable assets does not instill confidence in their ability to build a contender. Teams like the Chicago Bulls and Houston Rockets have the pieces in place to win a championship with Anthony in the fold. LeBron took control of his own destiny by sacrificing a little money to join Wade and Bosh in Miami, rather than relying on faith that the Cleveland Cavaliers would build a championship team around him. Carmelo should take a cue from his friend. History suggests otherwise. 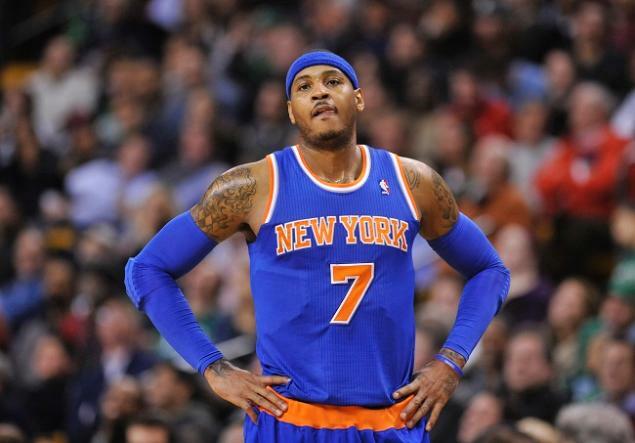 Where Would the Knicks be if They Had Not Traded for Carmelo Anthony? 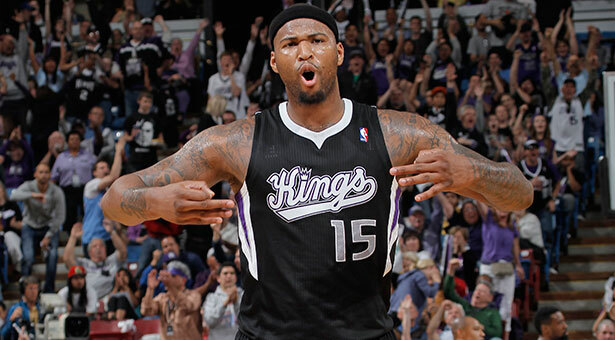 DeMarcus Cousins just signed a new “max contract” with the Sacramento Kings. I recently suggested to a friend that it may not be in the Knicks’ best interest to sign Carmelo Anthony to a “max contract” if he opts out of his current deal next summer, as expected. “How can you say that Anthony is not worth a max deal when Sacramento just committed max dollars to DeMarcus Cousins,” he responded, with a look of disbelief. Without delving into the merits of Cousins’ deal—a topic for another day—I explained to my friend that Cousins’ contract is worth a total of $62 million. 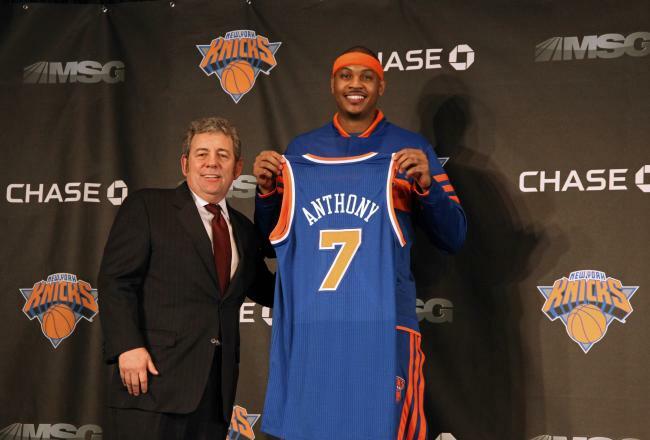 A new “max deal” for Anthony would cost the Knicks in excess of $129 million. The term “maximum-salary contract” or “max contract” for short, is generally used to describe a deal in which a player receives the most amount of money per season allowed by the collective bargaining agreement. The phrase is thrown around so haphazardly that many fans are under the false impression that all “max contracts” are equal. In fact, as demonstrated by the Cousins-Anthony comparison, max salaries can vary tremendously depending on numerous factors, including how the long the player has been in the league, his previous contract and the team he signs. Under the CBA, players have both a minimum and maximum salary based on how many years they have played, though several exceptions apply. Players who have been in the NBA for 0-6 seasons can sign a deal worth up to 25 percent of the salary cap ($13,701,250 in 2013-14). Those who have spent 7-9 seasons in the league can earn up to 30 percent of the cap ($16,441,500 in 2013-14), and players with a tenure of 10 years or more can receive a maximum of 35 percent of the salary cap ($19,181,750). 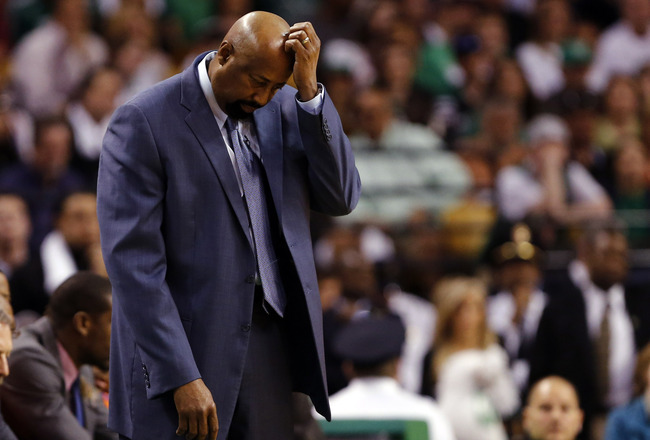 The CBA limits the length of a rookie’s contract to four years. An exception to the rule is that each team can sign one “Designated Player” under a rookie contract to a five-year deal. Teams can only name one “Designated player” (A team cannot name a new designated player until the last one’s contract expires), though they can trade for another team’s designated player. No team can have more than two total designated players on its roster. Members of the media have repeatedly referred to Cousins’ new contract as a “max deal” because he will be making the maximum amount of money allowed over a four-year period, though the label is misleading. The Sacramento Kings chose not to name him their “Designated Player,” though they were free to do so. They could have paid the talented big man the maximum amount allowed for an additional season. 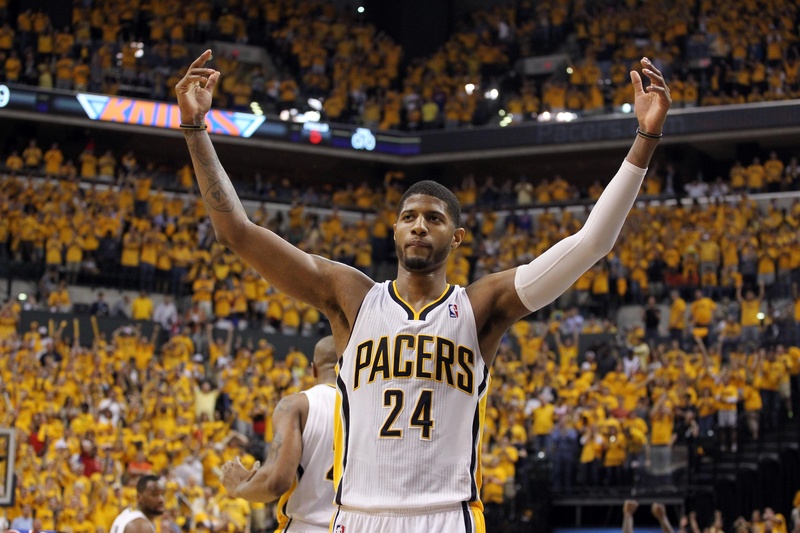 Paul George just agreed to a new five-year deal with the Indiana Pacers. Paul George, who like Cousins is heading into his fourth season, was recently named a “Designated Player” by the Indiana Pacers and signed a new five-year deal reportedly worth between $80 and $90 million, depending on the salary cap. You may recall that the Minnesota Timberwolves irked forward Kevin Love when they refused to name him their “Designated Player” in January, 2012. Minnesota signed Love to a four-year contract, opting to save the “Designated Player” label for Ricky Rubio. There is even ambiguity in the term “max contract” as it applies to George’s deal. 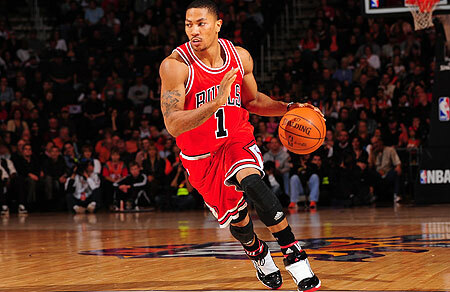 Derrick Rose won the MVP award in 2011. The CBA includes an exception known as “The Derrick Rose Rule” (Rose was the only player it applied to when the CBA was passed in 2011) which allows a “Designated Player” to earn 30 percent of the salary cap (as opposed to the standard 25) if he meets certain criteria. To be eligible, the player must have been voted a starter in the All-Star Game twice, MVP or named to an All-NBA First, Second or Third Team twice. 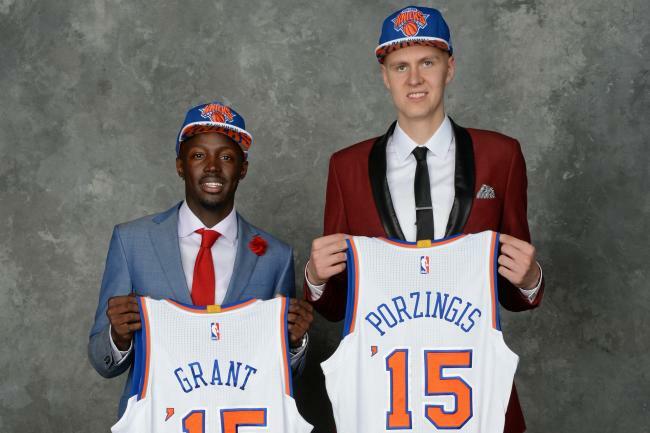 So far, only Rose and Blake Griffin have accomplished one of those feats on their rookie deals. James Harden agreed to a provisional “5th year, 30 percent” deal with the Houston Rockets when he was traded to the team on the eve of the 2012-13 season, but failed to meet the criteria. 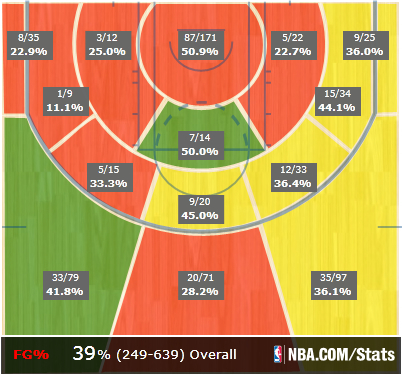 Like Harden, George is guaranteed a fifth year, with his “30 percent” status contingent on him meeting the criteria. George was named to the All-NBA Third Team last season so he can cash in with another All-NBA selection. The difference between Harden’s deal, which is limited to 25 percent of the cap and Griffin’s at 30 percent is in excess of $15 million. 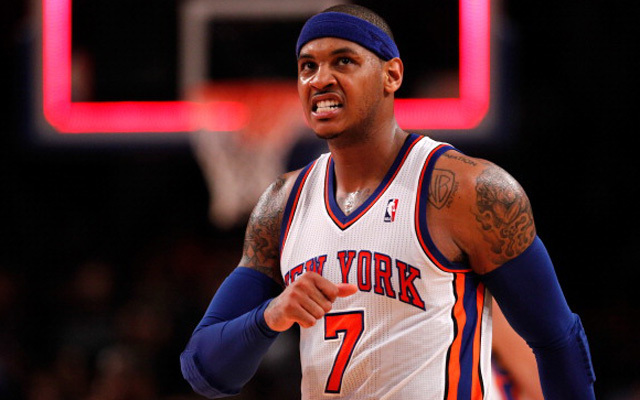 The Larry Bird exception will enable the Knicks to pay Carmelo Anthony more than other teams. Veteran contracts work a little differently. For starters, a free agent’s maximum salary in the first year of his new contract can never be less than 105 percent of his salary in the last year of his old contract. That rule applies even if it puts the player’s salary above the percentage of cap space typically allowed. 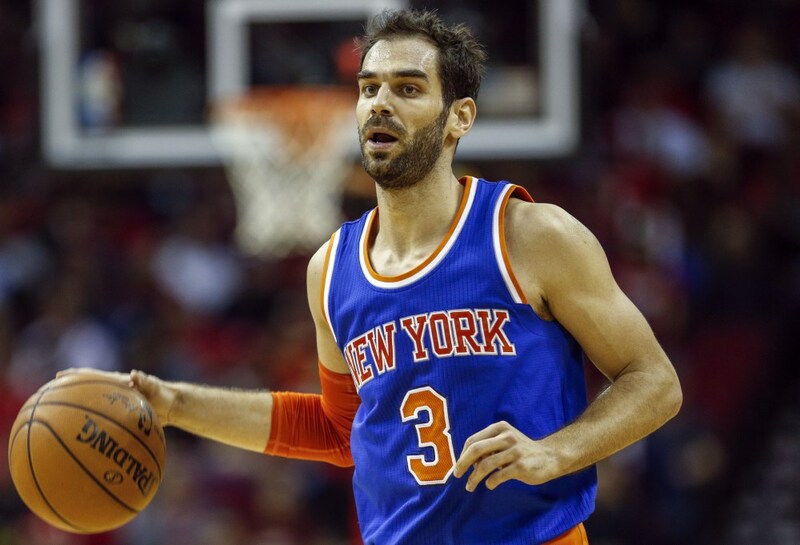 If Anthony signs a max contract with the Knicks, he will be 34 years old in the last year of the deal and take up nearly half of the team’s cap space. It would be extremely difficult for New York to surround the star forward with the pieces necessary to win a championship. 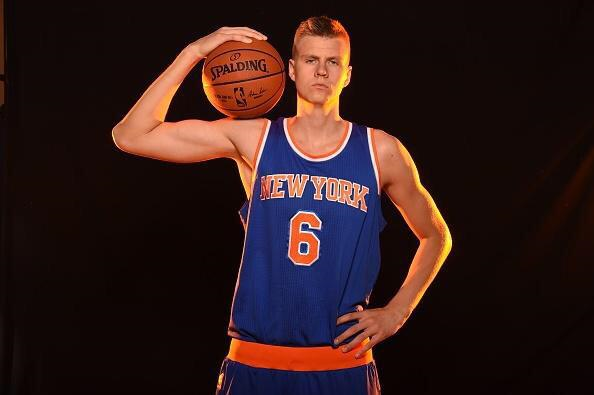 That is why I believe the Knicks should think twice before signing such an agreement. 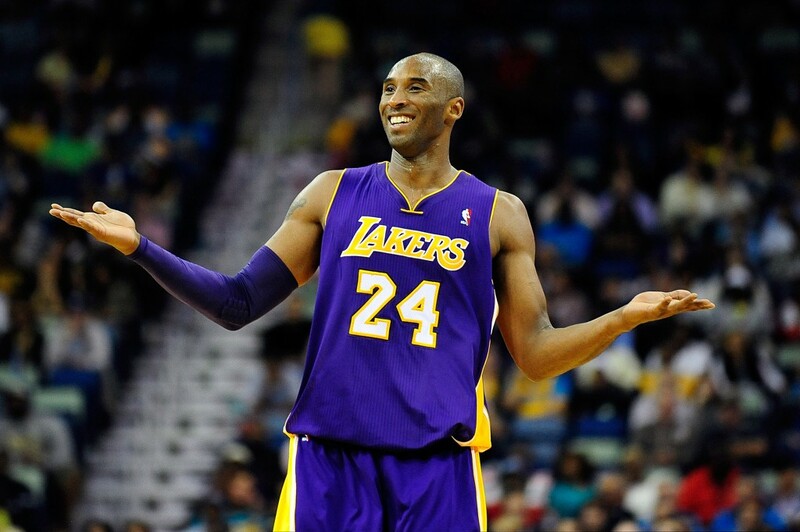 Kobe Bryant will make over $30 million this season. The contract could total $183.859 million. That’s a lot more than the $62 million “max contract” Sacramento agreed to with Cousins. Of course, the Lakers will not offer their aging superstar anywhere near that amount, even though according to SI.com, Bryant has indicated that he does not plan on taking a pay cut next season. 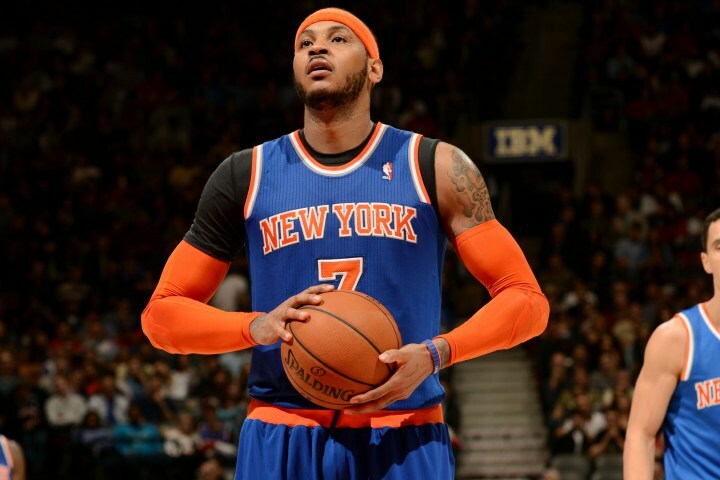 What’s Keeping Carmelo Anthony Out of the MVP Discussion?